The Lenape (Len-AH-pay) lived in an area they called Lenapehoking, which means Land of the Lenape. 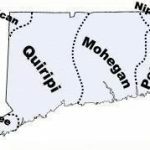 Their land included what is now New Jersey, along the Delaware River, the lower Hudson Valley and lower Manhattan Island when the Europeans arrived. As part of the Eastern Woodlands, Lenapehoking had many rivers, streams and lakes and was densely forested and rich in wildlife. In the 17th century, the Lenape or Lenni Lenape were organized bands of Native American peoples with shared cultures and languages. Their Algonquian language is known as either Lenape or Delaware. Families were important to the Lenape. There were strong ties between parents and children, and among all the related families that made up the clan. The Lenape had three clans – wolf, turtle, and turkey – that traced their descent through the female line. A clan was made up of a matron, her sisters and brothers, her sons and daughters, and the daughter’s children. The sons married women from other clans, and their children then belonged to their mother’s clan. Many of the groups inhabiting Lenapehoking had well-organized ways of governing their clans and their villages. The chiefs were chosen for their behavior, skill in speaking, honesty, and the ability to make wise decisions. They also had to know about religion, so that they could lead the people in rituals and ceremonies. Within their own groups the Indians were kind to one another. They felt a sense of responsibility toward everyone in their community. They did not steal from anyone in their own village, for there was no reason to do so. The land belonged to the whole community, shelters were shared, and no one hoarded valuable possessions. 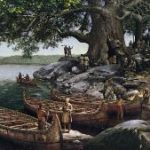 Among other Algonquian peoples, the Lenape were considered the grandfathers from whom all the other Algonquian peoples originated. In inter-tribal councils, they were respected as elders and peacemakers. Everyone worked, but men and women were expected to do different tasks. The Lenape made the things they needed by utilizing the natural materials around them, like shell, stone, bone, and wood. By starting at an early age, small children began to learn the skills they would need when they grew up. Lenape women planted and harvested the crops, gathered wild foods, prepared meals, and cared for the children. They were skilled at making clay pots, weaving rush mats, and making baskets. With fibers from the inside of plants, they spun and braided cords for binding and carrying bundles. They wove cornhusks into slippers and made containers from elm and birch bark. Women were also responsible for preparing the hides used for clothing and shelter. With bone tools, they scraped and cleaned the hides, smoked them, cut them into pieces, and sewed the pieces together with bone needles. Lenape men prepared the land for planting. They hunted and fished, traded with other groups, and made tools. They were good woodworkers, and made bows, arrows, fishing equipment, canoes, bowls, and ladles. Some warriors used their woodworking skills to make ball-headed clubs. The Lenape lived in villages for most of the year and grew much of their food. The three most important crops were corn, beans, and squash, known as the three sisters. The gardening tools were very simple – hoes and sticks for digging and planting. Some of the crop was eaten as soon as it was harvested, but much of it was preserved for use in winter when food was scarce. What was kept for later use was dried and stored in underground pits lined with bark. They fished and hunted in all seasons. Using bows and arrows, traps, snares, and spears, they hunted deer, bear, elk and beaver. They also hunted ducks and other birds that lived in their area. Sometimes hunting and fishing trips took men away from their villages for several weeks. Wild foods were also used. Berries were eaten fresh, baked into bread made from corn flour, or dried for winter use. Nuts were ground up and baked, or were pressed to squeeze out their oil, which was used in cooking. Maple syrup was made by collecting sap from maple trees in early spring. Chief Lapowinsa signed the Walking Purchase Treaty of 1737, in which the Lanape were swindled by John and Thomas Penn, sons of William Penn. This treaty granted to the whites land extending from Neshaming creek as far as a man could walk in a day and a half. The Lenni Lenape Chiefs trusted that the ‘white men’ would take a leisurely walk through the tangled Pennsylvanian forests along the Delaware River. When the survey was made, Thomas Penn had a straight path cleared through the forests and hired three of the fastest runners in the province, who procured 1,200 square miles [more than 1 million square acres] of land in Pennsylvania and forced the Lenape to vacate it. People were entitled to what they had trapped or gathered, but no one should be allowed to go hungry. Whenever visitors arrived, they were offered food. Food was cooked in clay pots over the fire or wrapped in leaves and set in the hot ashes. In time, the Indians began to use metal cooking pots brought by the Europeans. Corn on the cob was boiled or baked or fried in bear grease. Sometimes the women scraped the corn kernels off the cobs, ground them into a paste, and shaped the paste into patties, which were then wrapped in leaves and baked or boiled. Corn was also used to make soup, bread, and puddings. Beans were boiled or fried, made into soups, or added to meat dishes. Squash was boiled or baked whole. Greens were added to meat dishes, wild herbs to soups, and berries to puddings or breads. Utensils consisted of bark plates or wooden bowls and spoons. The Lenape lived in villages, but they didn’t stay in one place for their whole lives. Every ten or twelve years, they moved the entire village to a new site, because they had used up many of the natural resources. They lived in little dome-shaped houses called wigwams that could hold four or five people. When the families got too big, they built longhouses that could hold twenty or thirty people. 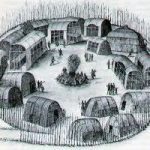 To build one of these structures, they pushed a circle of poles into the ground and then bent them over one another to make a domed frame, which they covered with sheets of bark, skins, or woven rush mats. Inside the wigwam or longhouse were platforms of poles on either side that could be used as seats or beds. Down the center was a row of fires to share. Openings in the roof let the smoke out. Corn and herbs were hung high in the roof. When the Europeans arrived, the Lenape were cultivating fields of vegetation through the slash and burn technique – the cutting and burning of woodlands to create fields for agriculture or pasture for livestock. The success of these methods allowed the tribe to maintain a larger population than nomadic hunter-gatherers. It has been estimated that at the time of European settlement there might have been 15,000 Lenape living in eighty villages. 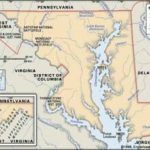 The Europeans gave the name Delaware to the native peoples who lived along the Delaware River, which had been named for Lord de la Warr, the governor of the Jamestown Colony in Virginia. The name was later applied to almost all Lenape people. They were among the first natives to come in contact with Europeans. The Lenape had no idea that land was something that could be sold. The land belonged to the Creator, and the Lenape were only using it to shelter and feed their people. When the poor, bedraggled Dutch landed after a long voyage, the Lenape shared the land with them. The natives accepted the tokens they were given as gifts, but to the Dutch those gifts were payment for the land. The Lenape were successful in their efforts to restrict Dutch settlement to present-day Jersey City until the 1660s, when the Dutch began to settle west of the Hudson in the province of New Netherland. The early interaction between the natives and the Dutch was primarily through the fur trade. Beaver hats were very fashionable in Europe, making beaver pelts the most valued fur. The Lenape were given European goods in exchange for their furs, and were soon dependent on those goods. Iron axes, cloth, copper kettles, and iron fishhooks made their lives easier. The need for fur to trade with the Europeans eventually resulted in over-harvesting of the beaver population in the lower Hudson Valley. The scarcity of furs and greatly disrupted traditional life. The Dutch shifted their operations to upstate New York, and the Lenape population fell into decline. Many villages dispersed and left Lenapehoking. By 1664, when the English conquered the Dutch and changed the name of New Netherland to New York, the native population had been decimated by European diseases for which the Lenape had no immunities. Smallpox was one of the worst diseases, but others like measles, mumps and scarlet fever were also prevalent. Warfare and alcohol contributed further to their decline. By 1750, it is estimated that the Lenape had lost almost 90% of their people. During the Revolutionary War, the Lenape supplied the Continental Army with warriors and scouts in exchange for food supplies and the promise of a role in a future Native American state. 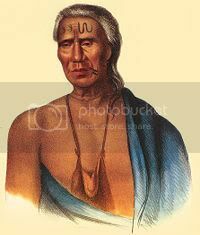 The Lenape were the first Indian tribe to enter into a treaty with the future United States government. In 1776, the Treaty of Easton, signed between the Lenape and the English in 1766, moved the Lenape westward, out of New Jersey, into Pennsylvania, then Ohio and beyond. How do I contact the Lenni lenape tribe that lived in present day New Egypt? Name and phone number?